Want to Search Massachusetts Police Record? 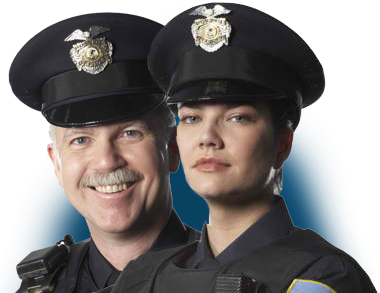 Are you wondering whether it is possible for you to obtain Massachusetts Police Records? Well there are several items need to be understood before embarking yourself to get hold of a CORI. Basically, accessing Criminal Offender Record Checks is imperative (according to the Executive Office of Health and Human Services) in just about any job field dealing with a human person most importantly for those dealing the so-called vulnerable populace- children, disabled, elderly people. Criminal Offender Record Information includes any records of reports in any communicable form on a person by an agency of criminal justice. It divulges details of the nature or disposition of a criminal charge, an arrest, a pre-trial proceeding, other judicial proceedings, sentencing, incarceration, rehabilitation, or release. These records are under the control and supervision of the Criminal History Systems Board (CHSB). There are a couple of categories where this essential record information is both required and considered. They are applicants who are seeking employment with OHHS, its agencies and vendor programs, or those existing workers desiring for new job fields. Any individual though may seek for a CORI. Prior to release, there is a request form that needs to be accomplished, ““notarized”, and sent with a self-addressed stamped envelope and a money order or check in the amount of $25, to the Department Criminal Justice Information Services. If you want to uncover somebody else’s criminal history data, the Department also permits access to “publicly accessible adult conviction record”. However the said Public Conviction Record is only deemed lawfully accessible when the subject whose record is sought meets the criteria of a publicly accessible data. For example the subject person must have been convicted of a crime punishable by a sentence for five years or more. Another case where access is allowable is for the elderly or handicapped requesting to review or check a potential nurse aid, caretaker and the likes. In whichever cases, obtaining CORI copies may have to go through some formidable steps. Usually, requests entail the completion of a certain request sheet and its submission to the tasked bureau. It can be a time-consuming process before you can have the desired information. Having a handier access of a Police Criminal Records online is crucial to your quest for safety and security. Employing a reputable criminal records retrieval site can give you direct and comprehensive details of a person so you can ultimately decide whether they are suitable or not. It is an effective means of unearthing facts about your prospect caregiver, partner and so on- withoutdehe burdens and steep expense.